I'd be okay with a delayed release in order to add a full blown house. First off, I want to thank you all for your feedback throughout the PTS cycle! Although we won't be able to address every point of feedback, your input has significantly improved the quality of this update, and we look forward to repeating the process for more of our releases in the coming months. A key piece of feedback we've definitely seen and investigated is the addition of a "house" or "cantina" type of building to the stronghold; unfortunately, that just isn't something we can feasibly add to the stronghold at this point. I know this may seem like a simple request, but it would actually require significant development and testing time to implement at quality. That said, we are taking this particular piece of feedback to heart and will make sure that future strongholds include those types of spaces where it makes sense. I also want to clarify that although this is the last build we have planned for PTS, it does not represent the final build that will be going live as update 5.9.2. Additional fixes and changes that are not in the final PTS patch notes will be included in the full update, such as the PvP toggle. The comprehensive patch notes for 5.9.2 will be released a bit closer to the update going live, which is still planned for July 31. First off, thank you for the answer, I do appreciate it. I suppose, what I can take away from this is that we're wasting our time asking for a proper housing structure for Rishi. I really don't understand why you would choose to omit a home for people to decorate. The Rishi SH is one that people have asked for, for years, myself included and never once did any of us imagine in our wildest dreams that you guys would go with the slummiest of slums when there are so many nice locales and attractive structures. Does this mean you will make another Rishi for decorators? At this point, if you're declining us, then keep Rakata Prime in mind and for the love of god, it has to be beachy with oceans and lovely plants and a great house. I really don't understand why you would forget your decorators. We spend money, we promote and post our creations on a variety of social media and websites, all of which is free advertising for the game. We show the joy we get out of playing with the strongholds and yet you choose to cater to a demographic, that to my knowledge has never once requested a 'pvp centric stronghold'. I'm very disappointed and honestly, there isn't anything for me to do in the game during the content drought. No story, no proper stronghold...what incentive do I have to remain? Unfortunately, it appears that most bugs from the first PTS patch, that were fixed with the second PTS patch, are now back in. Please check my posts in the bug reports thread for details. Most notably, you are no longer flagged for PvP when entering a PvP area of the stronghold. In other words: PvP is impossible in this stronghold. This must be treated as a blocker bug. It looks like the buttons to use the training dummy and to start PvP are now restricted to bronze keys. While this may be fine for personal strongholds, it is wrong for guild strongholds. Many guilds have a Friends&Family or conquest rank, where they invite players without a long background check. 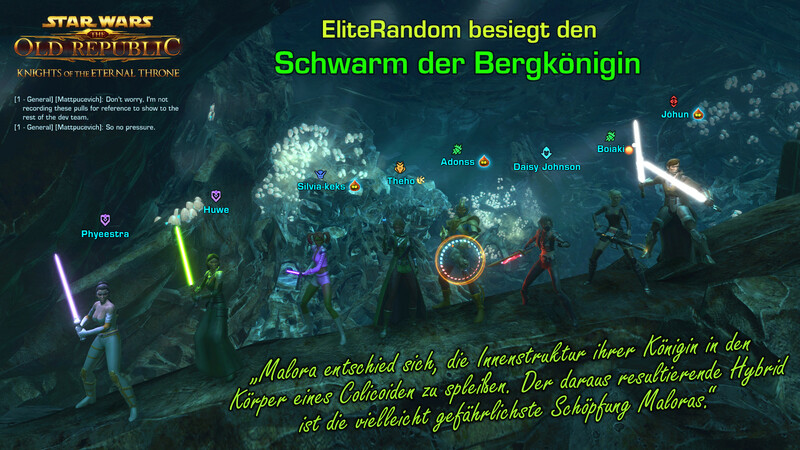 These players all have a bronze key by default, and will be able to disrupt any guild event. Please ensure that for guild strongholds, all buttons require a silver key, if not even a gold key. If you can't separate it between personal and guild strongholds, have the buttons require a silver key. I'm not too sure how the terminals to change the spawn position are supposed to work. Right now, they only appear to work in personal strongholds, not in guild strongholds, and they only work the stronghold owner. Any visitors to the stronghold will still spawn at the entrance. Shouldn't the setting apply to anyone, not just the stronghold owner? And also, please allow players with golden keys to set the bind point for guild strongholds. Ideally, you'd also ensure that if you /stuck or return to medcenter, you also return to the bind point and not always the starting area. Clickable objects no longer glow blue. This was fixed with the second patch, but is now bugged again. For new players, it is very hard to notice these objects, e.g. the speeders, unless they glow blue. Please ensure that it is fixed again when the patch hits the live servers. For example, here on the beach there are large gaps between the large hooks. Please add 2-3 more large hooks and ensure that all large hooks are flush together. That way, you can build one huge scene and not just 2-3 spots spread around. Thanks for adding the centerpiece hook next to the small island, but why put in a centerpiece hook? Please change it into a starship hook (that can still be broken down into centerpiece hooks). There are more than enough starship decorations after all, let us place them down somewhere! Maybe even add two more starship hooks somewhere in the distance (even if we can't get there ourselves). On the positive side, I like the new cinematic that was added when clicking on a cannon. And I like the new elevator to take you up on top of the canopy. And I really like the new walkway that was added to avoid the small PvP area. In my opinion, this concern is therefore satisfied; there is no more need to add a way to turn off all PvP features. Finally, since there is no longer a PvP feedback thread, please also look at the bug where the class icon colors of the Consulars/Inquisitors are swapped (bug report). This is super annoying for cross-faction queueing and should be fixed ASAP. I'm a little disappointed the pvp toggle didn't make the PTS, but am glad to here it will make the final patch. I think that you have beaten the game . Congrats, that is crazy! Using the Skydeck elevator will now play a transition cinematic. I didn't see a cinematic when using the elevator to the skydeck. Is this patch note meant to refer to the cannons to return to the surface, or is there supposed to be another new cinematic? Thank you for the update and communication in this thread. First, thank you for recognizing that ways to get around the PvP area and different bind points were wanted and for incorporating those requests. Second, thank you for mentioning that the PvP toggle WILL be in the final release. Lastly, I am sure there are some decorators who will enjoy creating something great for themselves in the Rishi stronghold. I'm also sure that many PvPers will enjoy it. But I'm still disappointed in the stronghold because of the lack of buildings and the choice of the area of Rishi that was used. People requested this stronghold for years and I don't think this is what many people had in mind. My plan right now, since there will be a PvP toggle, is to buy the initial unlock, buy the ship, make a spawn point in the ship and never look at anything on the ground again. But I feel as though I wasted my money extending my subscription for...this. I also hope that future strongholds will be more thoughtfully designed for the enjoyment of all. I went into the issues with the hooks extensively in previous posts, but while in those posts I called out some fixes that were less impactful than others, this time I've trimmed the fat and I'm focusing only on the most vitally needed and egregiously overlooked issues that remain after today's PTS patch. Although I am formatting this in a manner similar to my previous posts, some of the content is new. Please address these, they are significantly more negatively impactful to your decorators than might be apparent to someone who doesn't actively decorate. This area has been called out as needing hook changes by almost every person who has commented on the hooks in the feedback thread, and it's still unchanged. Suggestion #1: On the "viewing platform" area in the back overlooking the arena, the hooks on the sides are enforced Narrows, there's no reason for this as there's more than enough space. Please make these Medium hooks, or one Large and a Medium in the corner nook. Suggestion #2: Still on the "viewing platform" area (see the picture link in Suggestion #1 above). Please add a row of Medium hooks up at the front edge of the platform (make sure they are Mediums, enforced Smalls or Narrows would be arbitrarily pointless and limiting). 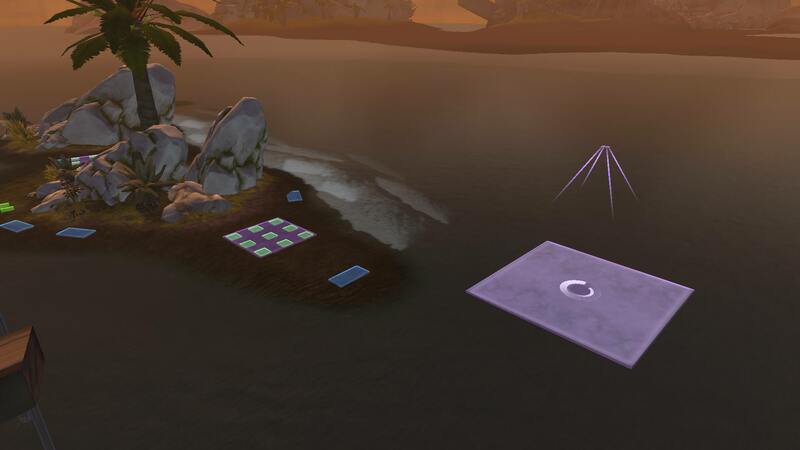 Without hooks right up by the forcefield we can't place any deco, personnel or chair or otherwise, to actually create spectators or a spectator area. Another area called out by many people, and it's still unchanged. Suggestion #1: In the first/larger room of the Staging Area, the hooks along the walls are enforced Narrows. Please make these Mediums. As it stands now, restricted to these ridiculous Narrow hooks, you can't put chairs in front of desks or computers, or tables in front of couches, or more than half of the environmental plant decos in the game. These need to be MEDIUMS. Suggestion #2: Still in the first/larger room of the Staging Area. Please add two more large hooks in the center of the room, in cross formation in relation to the two already there. This is absolutely vital to being able to fully furnish this room. Enforced open space is the death of decorating. Both of these issues are a BIG DEAL in this room! The space as it stands is severely limited in trying to achieve any type of functionally furnished room. In the absence of a "house" environment as some people are calling for, making these spaces more functionally decoratable is even more important. Suggestion #2: Some wall panel sections have two Medium Wall hooks, and others have only one. One or multiple of the following options for these hooks is badly needed: 1) Make these Large hooks, 2) Add a second row of Medium hooks in the upper wall section, 3) Make these two wall hooks on each section, or better yet three packed tightly together so that we could choose if we wanted a single centrally placed deco or if we wanted multiple things in each section. It's completely arbitrary to alternate like this and it prevents us from achieving symmetry, and without these being Larges we can't use most of the plant or water decos. Suggestion #1: This is the first stretch of open space after taking the ramp upward, located at this point on the map. One additional Large hook was added in this space since the initial release but it needs MORE. There is more than enough open space, please FILL it. Also please make that corner with the random two Mediums + Small a Large Standard Arrangement hook instead. Open space needs large decos. Large decos require Large hooks. I really shouldn't have to elaborate further. If we want to use any sort of furniture arrangement here (which most vendor stalls are, for example, including the Rishi one) we need Larges. I am leaving this first suggestion here not because it's so vital but because it epitomizes something that we need the people laying hooks to understand. The pattern-making here is not good for decorating. This is a continuing example of something we've been calling out since the Manaan SH released, about how negatively it impacts your players' ability to actually decorate when hooks are being laid with an intention to make geometric patterns instead of trying to place the largest hook possible that will fit in a space provided that hook comes with the option to break it down into smaller hooks. Suggestion #1: This walkway off the Team PVP Area on the way to the beach is an enforced alternating pattern of Narrows and Smalls. Please make this a grid of six Mediums. The pattern as it stands now is arbitrary (and very obviously a pattern rather than a blank canvas) and limits our options. Suggestion #2: The beach still needs more hooks!!! Or, at the very least, existing hooks need to be altered and shifted so that, one way or another, the following two things are accomplished: 1) There are hooks that reach the water line, and 2) The hooks that reach the water line can be broken down into SMALLS so that we can place PERSONNEL in the water!!! Suggestion #3 Please give us more Floor Covering hooks! There are five now, which is better than the zero there were before... but five widely scattered little beach towels are still going to look... very strange. Suggestion #1: Every instance of an enforced/stand-alone Narrow or Small on this island needs to be changed to a Medium hook. Every one. There is more than enough room. Arbitrarily limiting us to smaller hooks is not good. Suggestion #2: We need more hooks in the water. Lots more. They need to be Large Standard Arrangement hooks, and there need to be more of them than you think there should be (because it's very clear your players want more hooks than you think they do), and they need to be widely scattered around. Suggestion #1: Currently there are Large hooks in front of the built-in computer terminals, and a grid of Mediums in the back corners. Please swap this, so that the grid of Mediums is in front of the terminals and the Large is in the corners. Reasoning: Why would we want a Large deco to block what is already a built-in feature? Whereas the corners are begging for a sizable deco like a Multi-State Mainframe Terminal or a Republic Data Storage Unit or a Zakuul Megaterminal or a Shooting Range... all of which require a Large hook. Suggestion #1: If the whole point of this area was to let us spectate and decorate for spectating... shouldn't the hooks be at the edge of the awning where the view of the arena is actually possible? Most of the hooks are currently laid out right along the middle. Standing in that spot, you can't even see the arena. Please think of hook laying less as geometric art and more as a functional tool. As a final suggestion, it appears that none of the feedback I've seen provided about the hook options in the Sky Deck Arena has as of yet been taken into account. I provided some here, and other people have provided their own too. One of the most critical things that has been called out by multiple people is needing hooks that allow us to completely block access to the ground floor ramps leading up to the scoring area. All of the other suggestions are valid and pertinent, but this one about blocking the ramps is actually critical to making the arena functional for PVP. Without these hooks, all it takes is one Force Speed + plus one stun breaker to score. This does not make for playable matches. So, those are the hook changes that I feel are still vitally needed. There are many others that, ideally, I would love to see, but with the release so close I think it's more important to focus on the truly game-breaking ones. After seeing the hooks that you added to this patch I think I begin to better understand how the geometry of a room affects your ability to place hooks. We asked for wall hooks in the cabins and bridge on the Carrier, and when I see how they were added it appears you were forced to add hooks only in the spaces that provided flat planes. If that's a coding limitation then it's unfortunate but I understand, and I think the lesson for the design team should be that built-in assets need to be designed with the ability for maximum hook versatility and coverage in mind. If, however, the placement of these new Smalls (and the absence of Larges) is just arbitrary then it is absolutely TERRIBLE and all of those hooks should be converted to Mediums or Larges immediately. As regards other changes, thank you for the Large hooks in the corridors of the carrier, and thank you as mentioned above for the hooks on the awning (though also as mentioned above they do need a change). I still feel that your team responsible for laying hooks needs to do a pass of the full stronghold, and anywhere they see an arbitrarily enforced/stand-alone Narrow or Small hook where a Medium or a Large would fit they should immediately change it to a Medium or Large instead. Number one rule of hook placement should always, always be: place the largest hook possible that will fit in a given space provided that hook comes with the option to break it down into smaller hooks. This might have been reported before, however it is impossible to access the awning elevator as the viewing probe - you clip right through it. Additionally - it is impossible to use operative roll while on the ramps / arena decoration. Eternal Q, definitely in the wrong franchise. Owner-Operator <Cartel Vendor> - your one-stop shop for decorations and other cartel goods. I want to thank you again for opening the PTS for feedback. I really do think it's already made a positive difference for the stronghold, and I think it will have a positive knock-on effect for the next one. Here are some of the chief concerns I continue to have. I'm leaving the "would be nice" ones for a footnote at the end and for this main list really cutting straight to those that give me nightmares. All of these are extremely important. 1. You absolutely must address the issue of the cap on strongholds. This has come up with every single stronghold released since the first batch, and it will continue to come up every time. It's vital that you not arbitrarily cap players, when the server merge proved the game can support players having up to 35 strongholds. Here's a suggestion for a CM-purchasable stronghold slot unlock. If an ability to purchase additional slots isn't provided (or the cap isn't simply raised right up to 35 or more) I know I will end up being one of those players who cannot in fact gain access to the Rishi stronghold, and I would be very sad if that happens. 2. You need to find a way to let guilds have more than one ground stronghold. Currently they are limited to one. The Rishi stronghold is ideal for guilds. But if you force guilds to have to choose between sacrificing a stronghold they've already lovingly built up and getting a new one, I promise some guilds won't make the sacrifice, and your newly designed game feature will go unused. That's a loss for absolutely everyone. 3. You need to address some of the remaining issues with hook placement in Rishi. In this post I called out the ones I feel are still very important after today's update. 4. You need to increase the X/Y axes for decoration placement from 20 to 40. Especially with many of the issues that will not be able to be addressed with the hooks before the SH release, this is very important. Your SH player base has been crying out for this for a very, very long time. Currently it is not possible to get many large decos (requiring a Large hook) to sit flush against a wall or against any other deco. This has an enormously negative and frustrating impact on decorating. It is completely needless to be frustrating your players this way if an adjustment to the axes is all that is required to fix it. If this adjustment isn't possible, please tell us so. 6. This is a suggestion more than an imperative (I feel that at least items 1-4 through above are indeed imperative). While I personally don't have an issue with the lack of a "house" space for the Rishi SH, even I think it would be really nice to have one, and I can't help but imagine that you could still achieve this if you were to add another phased instance like the Patrol Carrier accessible through a terminal. 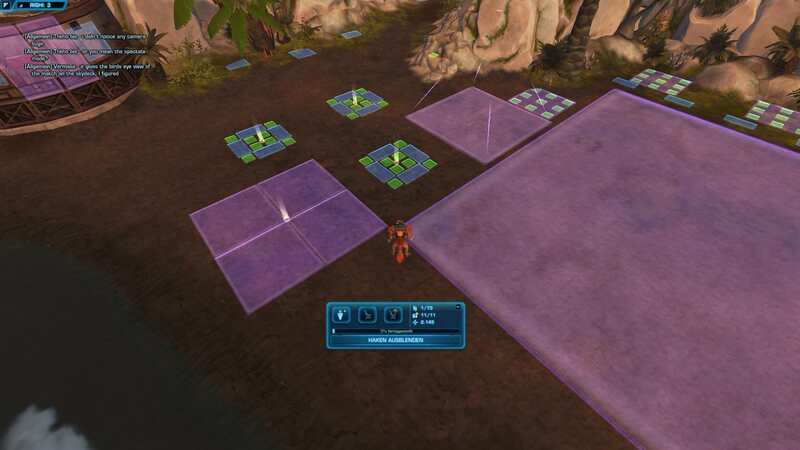 I totally understand that it actually isn't easy to add design assets to a region that has already been visually coded out to completion, and that it's probably not just a copy/paste job (most likely because the logic behind how a PVE environment space is coded may be different from how the SH space is coded). But an isolated, phased, terminal-accessible add-on to the SH could be added on after release as an expansion. If you were to make an announcement that this was coming here and in the patch notes, people would know it was on the horizon. The consensus from everyone wanting an additional cantina/house space for Rishi has been that folks would be happy to wait if it meant getting this, and adding it as an expansion would mean that you both meet your initial release and satisfy the folks who were willing to wait. Please add the Grade 8, 9, and 10 crafting mats as utility decorations. Utility decorations are some of the most frequently used by your decorators, and it's now been three and a half years since the Grade 8 mats hit the game. Don't you think that indicates it is way, way past time for a decos update? Please give some thought to making some adjustments to the hook assignments for the upcoming Martial decorations. Here are some suggestions. Please consider increasing the number of keys we can hold. If this is somehow game-breaking that's fine, but if it's just another arbitrary cap then it's pointless, and I know that for sure at least your decorators and RPers are frequently hitting the issue of keyring caps. In one of the previous game patches some personnel decos appeared in the decos UI that were incorrectly labeled as belonging to the Deepwater Essentials Bundle. These decos were removed from the UI with a later patch. They were all military-themed personnel decos from both factions, and they were wonderful. We badly need more personnel decos like this, and I strongly encourage you to release these as an upcoming personnel decos bundle. Imperial Guild Flagship - neither of the starship hooks in the hangar bays can be broken down (compared to the Republic side ship where both can).